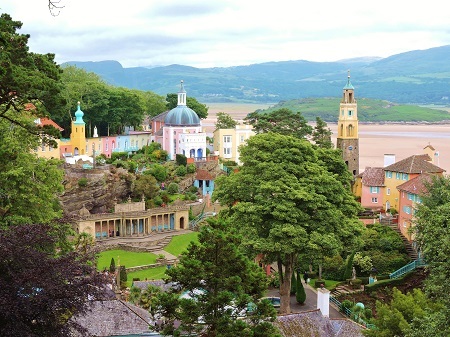 Portmeirion is home to a 70 acre sub-tropical forest with 20 miles of paths, hidden lakes, temples and breathtaking views. 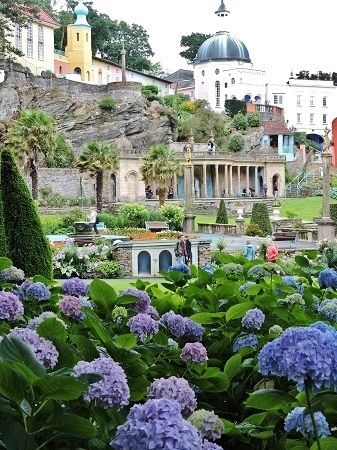 Portmerrion an Italianate Village created by Clough Williams-Ellis overlooking the sea in Wales. Full of interest and colour. 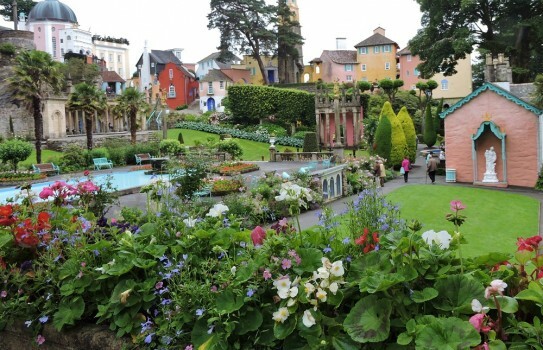 The first plantings at Portmeirion Gardens, were in early Victorian times. Henry Seymour Westmacott in the late 1850's was responsible for most of these. 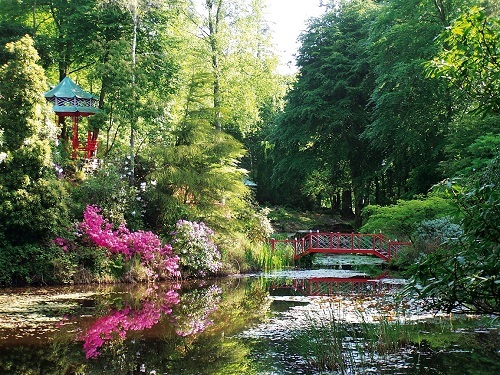 There are woodland gardens, sub-tropical plants, giant yuccas, palms, tree ferns as well as formal borders and small lakes. 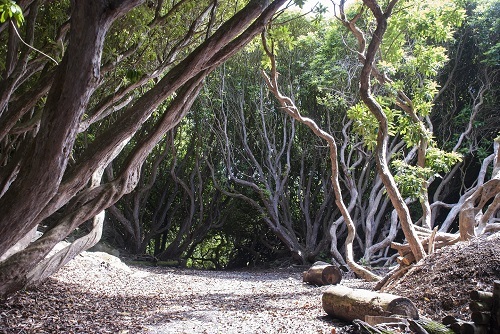 Rhododendrons and Azaleas are one of the main attractions with the peak in May. A land train will take you around the woodland gardens if you prefer not to walk. 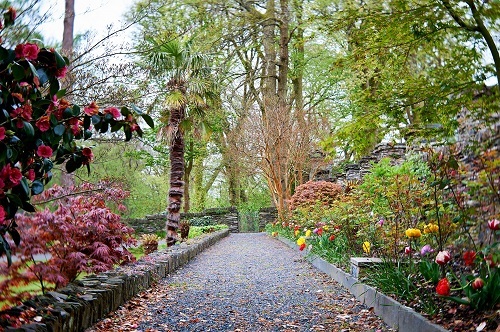 If you have time the nearby historic home of Clough Williams-Ellis at Plas Brondanw has beautiful gardens in Italianate style and we highly recommend you visit them. 2019 -Open most of the year with a good selection of shops and restaurants. 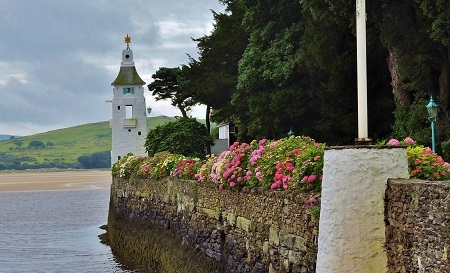 If you want to take a break near Portmeirion, why not stay in one of our recommended hotels. Each hotel has genuine guest reviews enabling you to book from anywhere in the world in total confidence. Not only do we feature hotels near the garden, we also feature hotels worldwide and at all major airports. Special prices up to 70% off standard rates as well as hundreds of exclusive deals. Look now - click here.